If we want to effectively participate in society, we must know the Constitution. Only Zuma has the power to drive wholesale change in the police. As a society, we seem to casually accept the norm of absent or austere fathers. Barry Bateman looks at the uphill battle to have Oscar Pistorius's bail conditions changed. A bit about the Cheetahs and how much pleasure they bring - nothing fancy just a praise song to this side. Greg Nicolson looks at acid mine drainage in Johannesburg. Ranjeni Munusamy looks at the world's 266th Pope. A fierce journalist; a gentle soul. 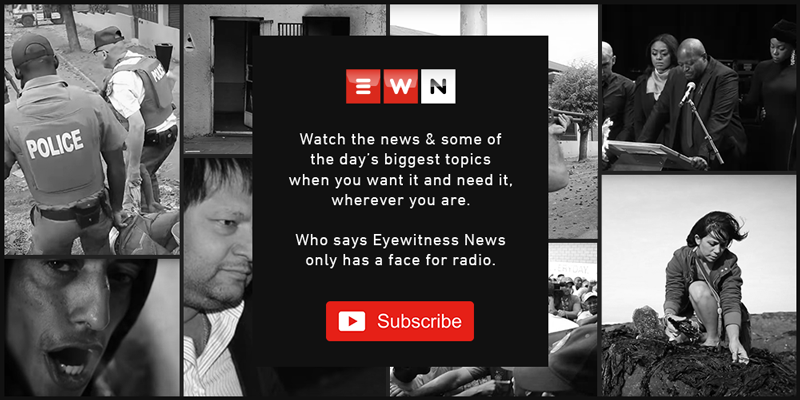 Katy Katopodis pays tribute to EWN's Mandy Rossouw who died after a brief illness. Joint CEOs to replace Maree – the message that this sends, by Johann Redelinghuys. Alex Eliseev looks at minister Richard Baloyi and a lack of accountability. Stephen Grootes - It appears the ANC's way of engaging the DA will be more direct. SA marks International Women's Day without its official flag bearer for women’s issues, Lulu Xingwana. When will crime stop being a white thing? Research shows we all want to leave South Africa, writes Sisonke Msimang.